Which Alden shoes should you wear on Valentine's Day? We asked the girls in our Marketing office. They had some interesting answers. Single as a Pringle? First Time Valentine? The Alden 9071 can work for any type of date. Even though it's a dressier style, you can go to a restaurant that's more low key and still rock these! Like the most sought-after Valentines, many of my suggestions are not currently available. We keep selling out of our Tanker boots! Speaking of, we just got our D8804H boot back in stock. That's what I'd choose, but my advice applies to any color 8 shoe. Color 8 is a versatile shade that works for both a casual night out in jeans or a fancy night out in blue slacks or a suit. No matter what your style, the Color 8 is the way to go. Never be tied down by your shoe options. No only will a shoe fanatic be impressed, but a woman will wonder where those shoes came from and will see that you went the extra mile to look nice for her. I'm a sucker for tan shoes and a navy suit. Any time a man asks me about this, I tell him to google the phrase "Tom Welling navy suit". You're probably doing so right now. I'm sure Mr. Welling appreciates the hits. Tan doesn't have to be boring! It's cold here in February, so my first suggestion is a boot. 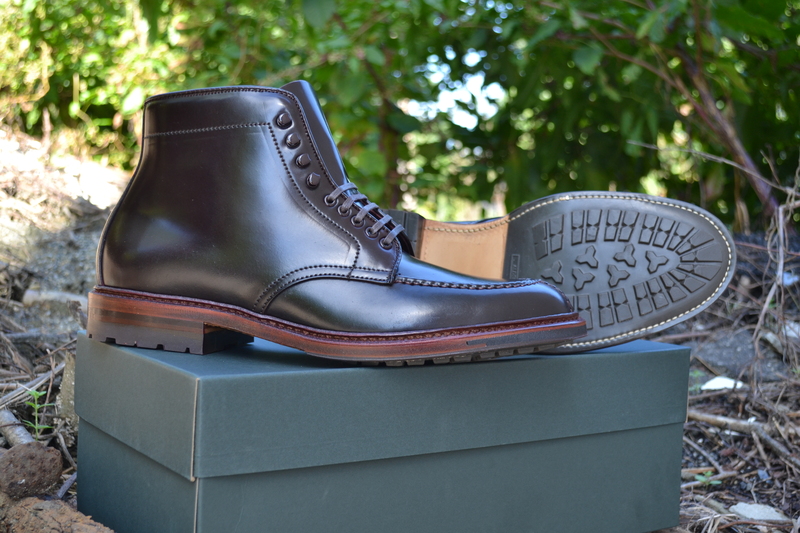 Our Alden x TSM # 39701 PCT boot really steals my heart. 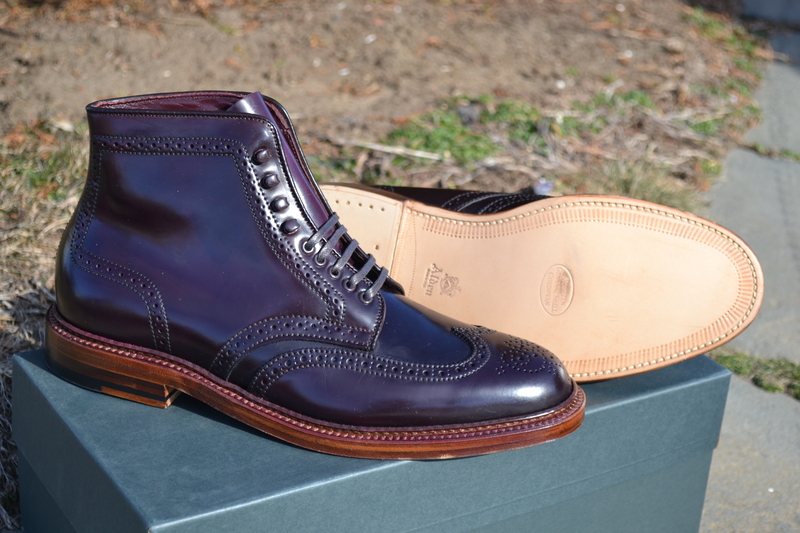 The perforated cap toe really stands out in a sea of typical long wings and black oxfords. 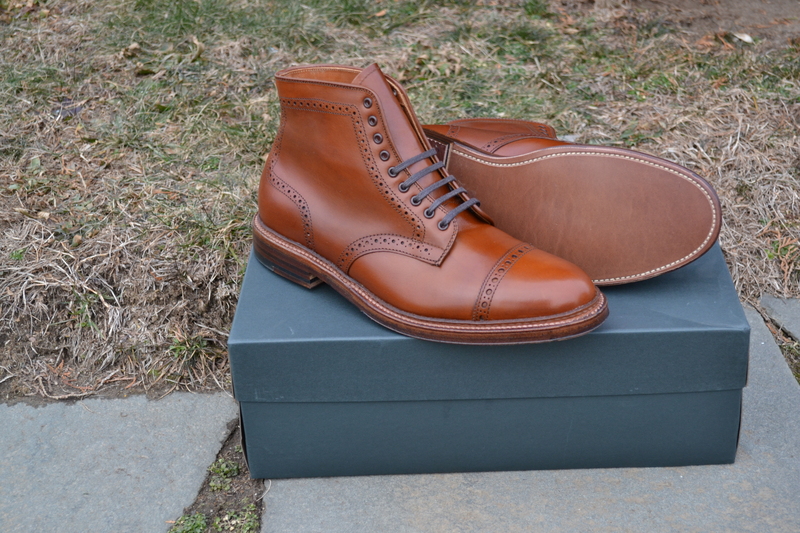 Get a good patina on these and people will definitely take notice. If you prefer a shoe to a boot, we have plenty of options. The 9062 or D5505 are both stellar choices. I know we have some C and E widths out there. If you don't see your size in the PCT boot, you should know the 3914 Straight Tip boot is an option for you. Shoot us an e-mail at support@theshoemart.com and we may be able to ship you a C or E width--even if we don't currently have it in stock. Most importantly, be on time! Be sure to place your order before 11AM on 1/5/19. All orders over $300 placed by that time should arrive in time for Valentine's Day with free shipping! Call in sick. Take the train to Montauk. Wear a pair of 404's in case there's snow and you meet a manic pixie dream girl with a penchant for changing her hair. 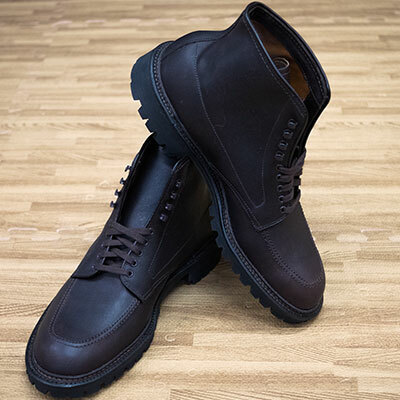 They're heavily oiled and the lug sole / storm welt combo is great for unpredictable adventures. Bring a picnic, pack enough for two. Worst case scenario, you're cold and alone but you have an extra sandwich. The secret valentine of your dreams would much rather be outside, away from the crowds, right? If she shows up, good luck trying to forget her.